Shelly is a Washington native born and raised in South Bellevue/Issaquah area. She is an Issaquah High School graduate. Shelly and Max went to the same high school although they didn't meet there. Shelly for many years worked in marketing promotions and customer service before transitioning into the insurance business. She worked at a Farmers agency for five years. Her time with Farmers was focused primarily on auto and home insurance policies. 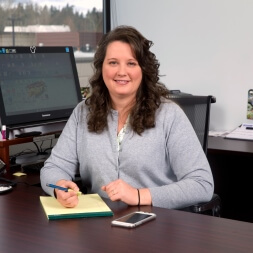 Shelly has been a licensed Washington insurance agent for over ten years with a focus in property, casualty and life insurance. She has a firm understanding of the auto insurance industry and the various coverages available in auto and home insurance policies. Shelly and Max met when they lived in the same condo building in Bothell. Less than two years later they were married on a beach in Cabo San Lucas, Mexico in 2005.